[BRAWLISEUM] Control Warlock - !AntiTempo! Hi all, I am posting this deck to share my success with you all! I went 12-1(was going 10-0) on my first attempt with my control warlock variant. It shuts down aggro and tempo decks, while rin can help you beat the odds against other control decks. 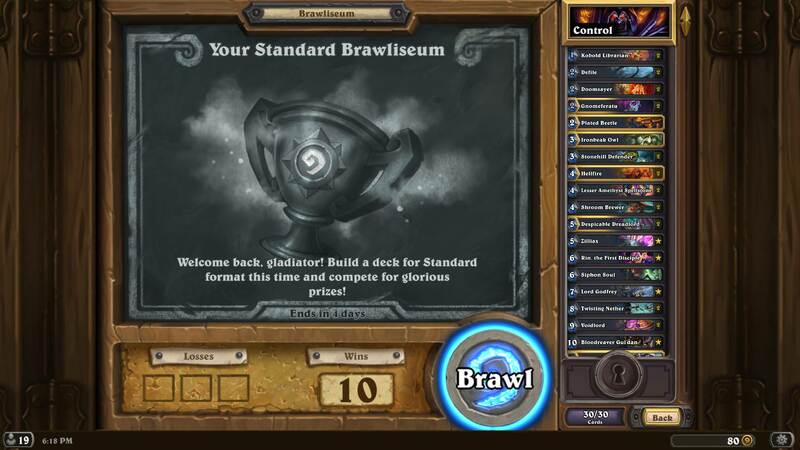 In the Brawliseum, I was faced with a ton of aggro decks - specifically from warlock. I lost my first game to an odd mage, and won the last few matches with my wits. 6-0 for now with an ooze instead of plated beetle. But if i could i would add the weapon and geist instead of mountain giant and a shroom brewer. I have been hunting Hunters down with a variation of that deck. The Ooze is invaluable. And since many decks aren't playing it, Skull of the Man'ari goes unpunished most of the time. Skulking Geist can delete 2-6 cards from most Hunter archetypes, and disrupt some other classes as well. The Lich King is a bit of a personal preference. His cards are often very useful, and players will go to extreme lengths to get rid of him. The Demonic Project is there in case I face some combo deck, but it can be replaced. 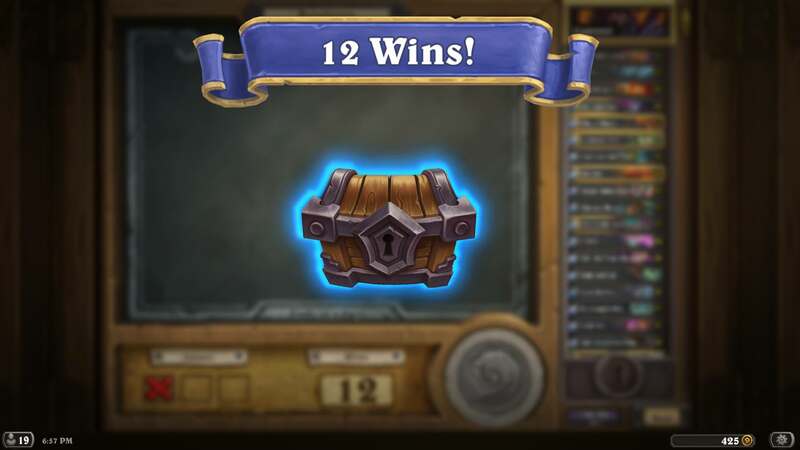 EDIT: After a few pretty decent runs, I just went 12-0. 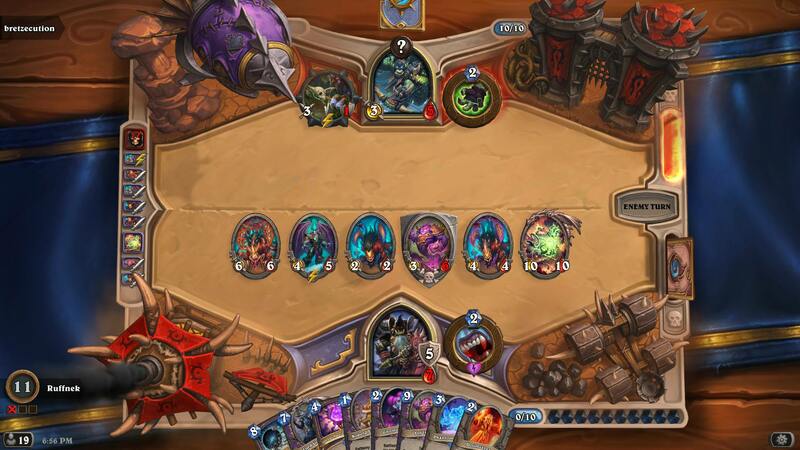 The final boss was a Druid playing the Hakkar/Togwaggle deck. Between the Geist getting rid of his Naturalizes and Spellstones, the Owl silencing his Hakkar and the Ooze destroying his Twig, it was a breeze. Besides having an extremely solid Control deck, these disruptive cards (along with Gnomeferatu and Rin) are really the MVPs here. I ended up dropping the Demonic Project for a second Twisting Nether after all. The combo decks are really few and far between. The other changes have been doing great, though. I'm surprised everyone is liking ooze in this deck. Maybe I will try it for myself in standard. Or maybe I haven't been caught up with the current meta, but ooze rarely helps me. Thats why I dont run it! and I love love love lich king but I feel like he is too slow for our deck, and that any aggro player will destroy a blank lich king on 8 (as I editted this deck to more-so deal with aggro). Skull is just meh to me, I'm not sure the tradeoff is big enough if youre also taking out the dreadlords. I'm really glad you had a positive experience with the deck though! Thanks for posting the deck. Before seeing it here I hadn't considered just playing my Control Warlock from the previous expansion. It's a bit hilarious that it has no new cards and yet it's still a fantastic deck. The main use I got out of the Ooze was breaking Eaglehorn Bows. Not allowing it to be buffed whenever I had to pop secrets ended up preventing a lot of damage. Plus a few niche uses: destroying Twigs, a Skull from a Cubelock, the Ashbringer when two Odd Paladins got Tirion... It can turn the tide of a match. And in the context of the Brawliseum, where having a winrate similar to the standard ladder won't get you that far, I believe that such tech cards can shine. I played Dreadlords in most of my Control iterations as well, but in the current meta I don't feel they are that important. Getting the Voidlords out as quickly as possible seemed more effective, since the degenerate aggro decks weren't running Oozes most of the time. Against other Control decks I generally wouldn't equip the Skull at all, due to Rin. Concerning the Lich King, I confess I didn't really try using the Giant in his place. I just really love the high roll possibility of his cards. Plus I must get some more use out of him before he rotates out. All in all, the most important changes to me would be adding the Ooze and the Geist, at least for the Brawliseum. Rin is just a win-more card to me. Most matchups are won without rin. She is only important for control matchup games! Yeah. I only feel the need to have two twisting nethers for the probability of the draw. I find myself in many situations where it is extremely nice to have a nether in my hand on turn 8.
great deck against all decks except the new spell hunter . totally crushed me . Really? Interesting. I have a flawless score against spell hunters at the moment. Our combination of healing and DK > voidlord taunts destroys any hope of them having to live. Sorry to hear about the score! Desk is totally trash, don't lost your ticket - lose ANY NEW control deck. Get 0-3 against Holy Palladin, 2 Handrox Druid - No chance to win.